More projects for the "Tree Trimming" Class! I am sending out an email in the morning, but just in case you are looking now, here are three more projects for the "Tree Trimming" Class this Friday & Saturday, Oct 2nd & 3rd! Contact me if you want to come. The fee is $20 for five 3-D projects or FREE with a $50 order! Next, a "JOY" Banner made with "Christmas Cocoa" DSP! And for the third project today (but the fourth project at the class), a Snowflake ornament made with the Big Shot Snowflake Die. Now, I know this snowflake looks PINK, but in real life it is Brushed Silver, White Vellum Cardstock, and Dazzling Diamonds glitter! That's it for tonight. I have an appointment in the morning, but I will be back at it tomorrow afternoon to get the fifth and final project ready for class! Who doesn't love the Clearance Rack! THIS POST WILL REMAIN AT THE TOP OF MY BLOG UNTIL THE STAMPIN' UP! CLEARANCE RACK PROMOTION HAS ENDED. PLEASE SCROLL DOWN BELOW THIS POST FOR MORE RECENT POSTS. I just went shopping this morning with my daughter for her birthday yesterday. We had a TON of clothes in the dressing room, and much to my daughter's pocketbook's dismay, ALL OF IT WAS SOOOO CUTE! Needless to say, we did some major credit card damage! I came home and while eating my lunch discovered this great deal SU! has put out for you! 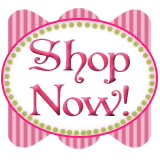 click on the "SHOP NOW" button in the upper right corner, then click on "Clearance Rack" on the left-hand side column. You will find three pages of ribbons, rub-ons, paper, tins, etc, that while retired, are still great for your stamping and crafting needs! Quite a bit of it was current last Holiday Season! Go check it out! Matchbox "Chest of Tags" Tree Trimming Class this weekend! You haven't heard from me for a couple of days, partly because we were "partying" on Sunday for my oldest daughter's birthday (love you, J! ), and yesterday I was prepping for a hostess' party on Thursday, as well as getting ready for my "Tree Trimming" class this weekend! It's scheduled for Friday, Oct. 2nd, 1 pm & 6:30 pm, and Saturday, Oct. 3rd, 10 a.m & 2 p.m.! We will be making FIVE 3-D projects to get ready for the holidays for the $20 fee, or the class is FREE with a $50 order. Registration RSVP is going on right now, so contact me! Inside the chest we will be storing these tags! And here's one of the projects for my Thursday hostess, Becky! Gotta run, Jessica is picking me up in a few to go shopping to help her spend her birthday money! Running my own business is so much fun, as long as I'm caught up, I can give myself "time-off" whenever I want or need to! This is the last card I was able to take a picture of before my camera battery ran out last Sunday afternoon! This swap from the Cincinnati Regional was made with the "Christmas Punch" Level 2 Hostess Set, a very popular choice of many of my hostesses! It also uses "Holiday Lounge" DSP and the very reasonably-priced set, "Christmas Greetings"! Tomorrow is our family's September birthday get-together for my oldest daughter, Jessica's 31st birthday! I can't believe my oldest baby girl will be 31! (yes, I know, I was a "baby" when I had her, 19 actually, and although I guess I was classified as a "teen pregnancy", we had been married over a year (by 18 days!) when she was born! I'm so thankful I had her when I did, she is one of my very best friends (besides Kimmy & Alisa my two additional "baby girls"!) I can't imagine my life without her! I was a little skeptical when I first saw the dies and stamps for these Build-a-Bear projects in the Holiday Mini, but after seeing the fabulous demonstrations at Convention, I was SOLD! Linda brought this cute project to our Technique Class last Sunday. She put "Miss Bear" on a miniature gift bag she purchased at a local crafting store. Inside the bag is a box of crayons and pre-stamped pages just waiting to be stamped! If you would like to make this project at your party (we could put a witchy, Santa, or sports-y costume on the bear instead! ), just let me know! I know my grandchildren would love these! I'm also working on a magnetic "paper bears" idea I hope to be able to show you soon! So sorry to have to remove this post too, guys. Sandi Maciver requested that I remove this card, which was not part of any tutorial, but was shown on her blog, so I am honoring her request. It was changed slightly from the original, and when I took a picture of it at our Downline meeting last month I had no idea it was Sandi's creation, but she has requested it's removal, so I am honoring her. This card was one that Linda Reaney shared with us at our Downline Technique Class last Sunday afternoon! We didn't get to stamp it, but we did get to handle it and take pictures! This actually one of the cards she will be doing for her group's Stamp Camp at her house on Saturday the 26th! Its an unusual but beautiful color for a Christmas card: Rich Razzleberry! BTW: Today is the last day to RSVP for my "Christmas in September" Stamp-a-Stack on Friday, Sept. 25th at my house, $20 for 10 cards, two each of five different designs, or FREE with a $50 order! Contact me TODAY for the 1 p.m. or 6:30 p.m. classes! The 4th Card for Friday's Stamp-a-Stack! And Stamp-a-Stack goes on the Road! Isn't this a cool card? I love it! We will be using the "Top Note" Die with the Big Shot, "Serene Snowflakes" from the Holiday Mini, and "Christmas Cocoa" DSP from the Holiday Mini! I can hardly wait for Friday, can you? Note: My Christmas in September Stamp-a-Stack is going on the road! We will be making the same cards from Friday on Saturday, Sept. 26th, 1:30 p.m. at Melodie Anderson's house in Marion, IL, so if you live down her way, just contact me to RSVP! Question of the Day: What will the 5th card at the Stamp-a-Stack be? Answer: You'll have to come on Friday and find out! Gift Bags for our church ministry! For a long time I've been wanting to use my stamping in a ministry capacity at my church, but was at loss as to how to go about it. I know alot of demonstrators have a card ministry they conduct at their church where they and some of their members get together once a month to stamp cards for visitors and shut-ins, but since there are very few stampers in my church (there were a BUNCH when I started as a demo almost 7 years ago, but apparently it was a "fad" that came and went, but it's not a "fad" for me!) I didn't want anyone to take it wrong and think I was trying to use it to promote my business, so I just didn't do anything for a long time. Recently, however, I was asked to make gift bags for a new outreach our Ladies Friendship Circle wanted to start. They are giving out a gift bag of goodies to all first-time visitors to our Sunday morning service. Inside the bag is a little loaf of homemade bread, information about our church's activities and ministries, the Bible on CD, and a little bag of candy. I was really excited to get an opportunity to do this, and whipped up these 5 bags using the "Autumn Traditions" Designer Series paper and the "Leaves #2" Die with the Big Shot! You really can't see it in the picture, but I stamped on the leaves with the "Autumn Splendor" stamp set from the Holiday Mini, then dragged the edges of the leaves on the coordinating inkpad! I finished off the bags with some retired ribbon I still have in my stash, and stamped the tissue paper with the "Autumn Splendor" set in More Mustard, Really Rust, Old Olive, and Chocolate Chip! They want to have 5 of these bags ready to give away every Sunday, so I need to get started on the next batch, don't I? Another "Christmas in September" Stamp-a-Stack Card! Here's another one of the cards we will be making on Friday using punches! Everything will be pre-punched for you and ready to go! Call me to RSVP! Ta for now! Lots of punching to do! I have been holding a Christmas Card Stamp-a-Stack every month since July, and the next one is almost here! Every month I choose 5 designs, cut and prep all the supplies, and my stampers come and make 10 cards, two each of the five different designs, all for $20! If they place a $50 order at this event, their class is free! My next class is this coming Friday, September 25, at 1 p.m. & 6:30. I still have some spaces left in both classes, so contact me by phone or email if you would like to come! Today was my Technique Class/downline meeting with my "Yes Ma'am!" stampers, and one of my 2nd level downline, Cathy Hewlett, showed us this new technique, "Sparkle Plenty"! First I'll show it to you, then I will tell you a little bit about how we did it! (I'm thinking a tutorial for this one is in order, whaddayathink?) NOTE: This card is one of the Christmas In September Stamp-a-Stack cards! We stamped first with the snowflakes from the "Christmas Punch" Level 2 Hostess Stamp set, then stamped over these images with Versamark and "Scenic Season". After embossing with Iridescent Ice embossing powder, we brayered over the whole piece with Not Quite Navy ink! Gorgeous! This was one of Cathy's swaps she received at the Cincinnati Regional she attended last weekend with her downline, Melanie! In case your wondering what stamp was used to make this card, it's made with "Delightful Decorations" and the NEW Ornament punch! That ornament punch ain't just for Christmas, ya know? This was one of the M & T's at the Cincinnati Regional using the Holiday Mini set, "Berry Christmas" and the "Bitty Box" Big Shot Die! Well, that's all for tonight, but I"ll be back tomorrow with another sample for the Christmas in September Stamp-a-Stack!